AudaMobile is the professional solution for car insurance claims. 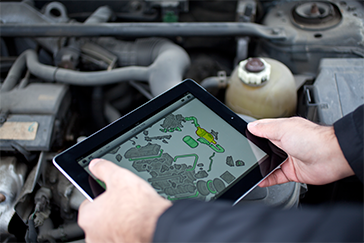 A fully mobile, paperless tool designed for assessors and body shops. Easy creation of new claim directly from your tablet device. Just enter information about the claimant, accident type and insurance coverage as required. Identify the vehicle via VIN query, or by searching the extensive Audatex database for make, model and submodel. 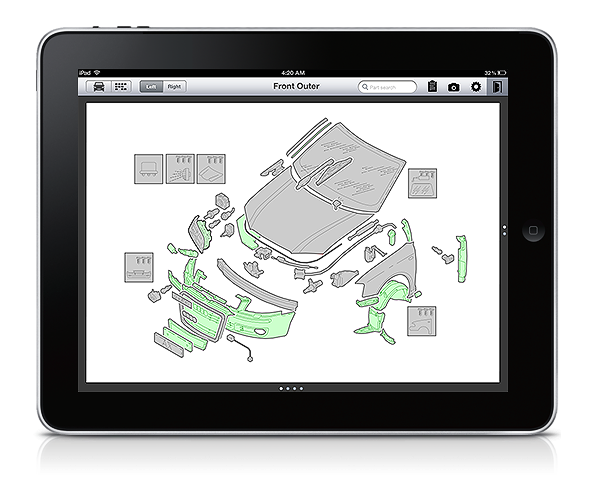 Select damaged parts and repair type in a graphical representation of the vehicle. Use the device’s built-in camera to record the damage and link these photos to the selected damaged parts. Trigger an Audatex calculation to get an accurate estimate of the repair cost. When you are finished, send the finalised estimate to begin the vehicle repair. Faster case completion for assessors on the road - full case management capabilities with internet access. Increased reliability - the selected parts are linked to photos of the real damage. Ease of use - an intuitive solution using standard tablet user interface.